Enjoy Happy Hour at First Edition From 5 - 7pm. House drinks will be only $6 each - this includes house beer, white and red wine. Enjoy Happy Hour at First Edition From 5 – 7pm. 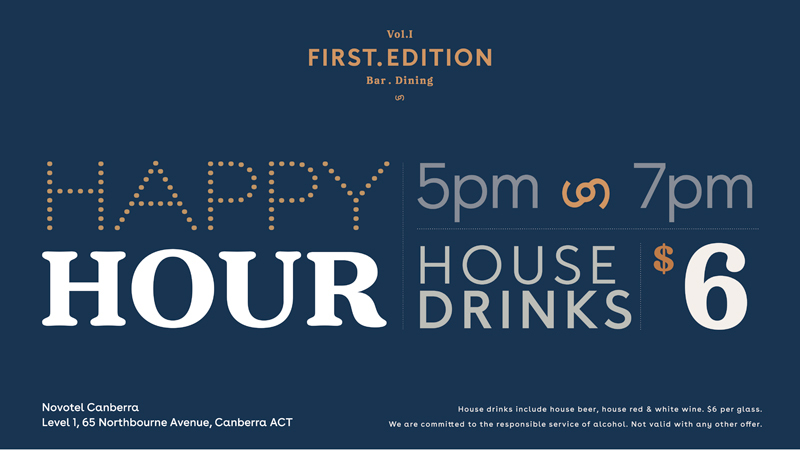 House drinks will be only $6 each – this includes house beer, white and red wine.